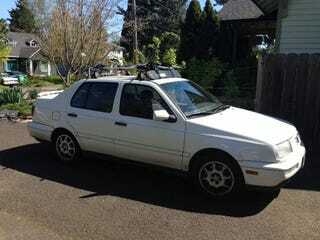 1998 Mark III Jetta. VR6, 5-speed and only 135k miles. I emailed the seller yesterday, and he just texted me back (yes, at 1:30 AM) with zero further information (I asked if the timing chains/guides were done- he just said “all maintenance was done” as prescribed by a VW dealer- he probably doesn’t know the specifics) and zero better pictures. It might be worth a look.